Chocolate ranks high among all the comfort foods in which one can indulge. It’s even better when it’s incorporated into a homemade recipe lovingly prepared by Grandma’s hands. And while chocolate in all its many forms is delicious, I do believe there isn’t anything that can’t be made better by eating homemade chocolate pudding. Grandma Josephine Tedesco believes in love as the main ingredient in everything she makes for her grandkids. And even though Grandma’s mind isn’t always in the present, when it comes to cooking or baking, she’s as sharp as Gordon Ramsay’s knives. 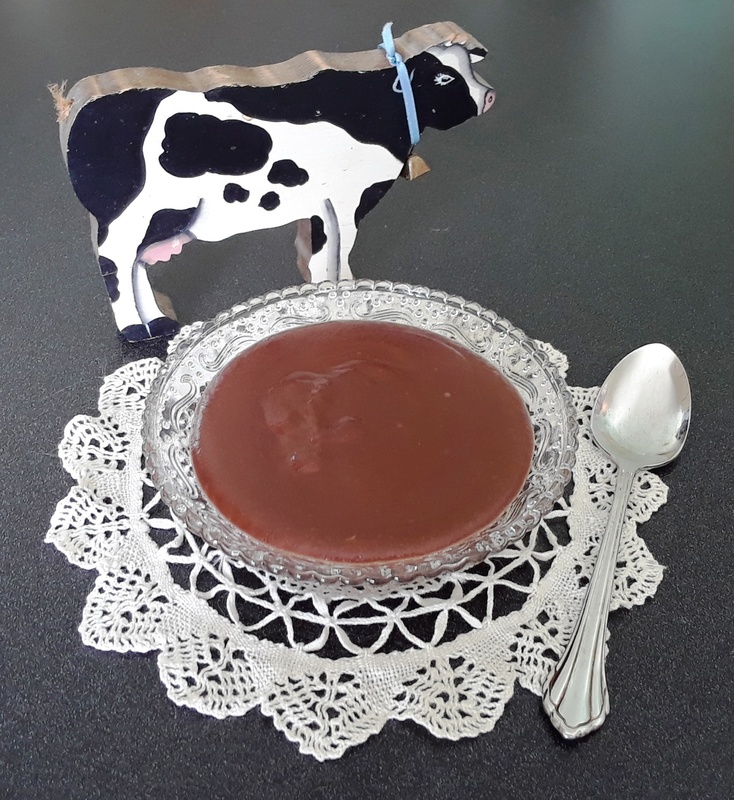 The following recipe for chocolate pudding is the one I had in mind when writing about pudding in my novel, The Tedescos. It’s absolutely decadent and just the sort of dessert Grandma Josephine would proudly serve. It’s simple, elegant, and a little bit of chocolate heaven. STEP ONE: Whisk the cornstarch, cocoa, and ¼ c of the sugar in a mixing bowl. Add ¼ c of milk, and whisk until it’s smooth. Set aside. STEP TWO: In a medium bowl, thoroughly whisk the whole egg with the two egg yolks. Set aside. STEP THREE: Combine the remaining 2 cups of milk, ¼ c of sugar, and the sea salt in a medium saucepan. Bring the mixture to a boil over medium heat. Stir constantly to dissolve the sugar. When the mixture in the saucepan comes to a boil, reduce the heat and stir in the mixture from Step One. Once the two are thoroughly combined, bring the mixture to a boil over medium heat, whisking constantly. Do this for about two minutes or until the pudding is thick enough to coat the back of a spoon. STEP FOUR: Reduce the heat to low under the pudding and gradually whisk about ½ c of the hot pudding into the egg mixture from Step Two until thoroughly combined. Pour the egg/pudding combination back into the saucepan taking care to scrape out the bowl. Cook the pudding over medium heat, whisking constantly, until a soft boil is achieved, about two minutes. STEP FIVE: Remove the pudding from the heat and add the semi-sweet chocolate, butter, and vanilla. Stir until the butter and chocolate are melted and the pudding is smooth. Pour the pudding into six dessert dishes or ramekins that hold about 6 ounces each. A piece of plastic wrap placed directly on the surface of the pudding will keep a skin from forming. Refrigerate the pudding until chilled. Serve with whipped cream and/or chopped peanuts if desired. OMGosh was it ever delicious. It was like eating a bowl of hot chocolate fudge. The softly whipped cream on top only gilded the lily. And it was simple, so whipping up another batch will be no problem… no problem at all. Oh, yes! Like cool, creamy spoonfuls of hot chocolate!